During the holiday season most people do some traveling to spend time with friends, family and loved ones. This widespread tradition leads to more people one the roads, clogging interstates and highways. While some years are better than others, Waze, a traffic tracking app, predicts that this year driving around Thanksgiving Day will be a nightmare. According to the mobile traveling app, Thanksgiving Day itself will not be overly stressful but anyone daring enough to drive on the Wednesday before or the Friday after better be prepared for some heavy traffic, especially between the hours of noon and 4pm. But if you are planning to drive a long distance sometime within the week of Thanksgiving, here are some tips to help you survive the drive. Put your car in D3 in an automatic transmission. Normally, this ear is used for stop and go traffic to make it easier on your vehicle. Never get too close to other cars while in heavy traffic. If possible, drive in a car that can autonomously apply the break if you get too close to the car in front of you. Similarly, cars that can alert you when you are exiting a lane may add more safety to your drive. Make sure you have a full tank of gas. Nothing could be more stressful than being stuck in bumper-to-bumper traffic and then realizing you need to get gas. Driving in heavy traffic is a dangerous but sometimes necessary part of the holiday season. Make sure you and your vehicle are ready to take on the roads this time around. If you feel that your vehicle may not make it through the congested roads this year or you would just like to upgrade to a car with more safety features check out Swapalease.com. Swapalease.com has been helping people who want to switch up their ride for more than 15 years. 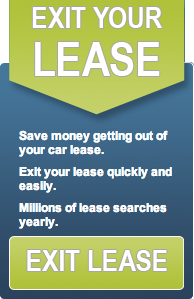 Headquartered in Cincinnati Ohio,Swapalease.com is an online marketplace that allows drivers to list their current lease and helps match them with buyers looking to take over the remainder of that lease. Both parties get what they’re looking for all with the convenience of online shopping. Everyone has a favorite brand of car. Maybe it’s their own, or maybe it’s the car they’ve been dreaming of. But which brand of automobile is really the best? On November 12, 2015 the winners of the 2016 best Vehicle Brand Awards were announced. This award recognizes the best cars in each of the four major categories of the automobile industry: Car, SUV’s, Trucks, and Luxury. This year, Mazda won the award for Best Car Brand. The brand had many positive reviews for well-made interiors and sporty drive handling. This is no surprise as the Mazda Miata is currently the number 1 car in the U.S. for Sports Car rankings. The winner of the SUV category with impressive reviews on its utility, comfort, and interior was Honda. Honda is known for producing family-friendly and stylish SUV’s. Some examples of these award-winning SUV’s are the Honda Pilot, Honda CR-V, and the new Honda HR-V.
Ford earned the awards for Best Truck Brand of 2016. The Ford F-150 continues to be the fan favorite of the Ford lineup, known for its strength and classic design. Porsche dominated the competition and won the title of Best Luxury Brand of 2016. This brand of luxury cars pride themselves on their opulent interiors and connectivity features that many tech-savvy customers today crave. Did your car make the cut? If not, switch up your ride on Swapalease.com. Headquartered in Cincinnati Ohio, Swapalease.com is an online marketplace that allows drivers to list their current lease and helps match them with buyers looking to take over the remainder of that lease. Both parties get what they’re looking for all with the convenience of online shopping. Most of us remember when CD players were the best means of playing your favorite tunes. There were boom boxes, Walkmans and eventually CD players in our cars. If you had a wide variety in your music collection, then you probably had a book of CD’s in your glove compartment or one of those nifty CD organizers clipped to your sun visor. But those items will now be a thing of past, even more than they already are. 14 years after the iPod rocked the portable music world, the in-car CD player may finally be laid to rest. Last year about 17% of cars in the U.S. had no CD player, says the Seattle Times. And by 2021 that number will rise to 46%. Technology is likely to blame for the death of the CD player. Today, if you want to play your own music in the car, you will typically plug your MP3 player or smartphone into the stereo via an auxiliary cord or connect to a device through Bluetooth. Although CD’s are occasionally dug up to indulge in some throwbacks and homemade mixes, the majority of the population’s CD players are probably just collecting dust. Advancing technology isn’t the only one to blame for the lack of CD slots in new model cars, by forgoing the CD player in the car’s stereo, the manufacturer saves approximately $30 dollars according to the Seattle Times. Eliminating the CD slot also makes room for larger touch screens used for music, navigation and apps. Instagram has taken the world by storm since its birth in 2010. People post about every aspect of their lives and can achieve celebrity status as a result of it. Cars are no exception. People love to show off their vehicles and all the places that they can take them in life. Instagram turns a picture of a car into instant art and the drivers themselves, in to artists. So which cars are the most “Insta-famous”? According to Auto Insurance Center, the most popular cars to post to Instagram in the United States are BMW’s. The German car brand is most popular in the state of Florida, California, Oregon, Georgia, and Kansas. No surprise that a luxury car brand is the most posted car on the popular social media app. In second place, an American classic, Jeep. Jeeps are most often posted about in the state of Texas, Arizona, North Carolina and Colorado. These vehicles are known for their boxy features and their ability to handle off-road terrain. Third place goes to a highly coveted brand, Ferrari. These cars are built for speed and are loved by car fanatics all over. The Ferrari took center stage in states such as New York, Illinois and Washington. Is your car Instagram worthy? If not you might want to switch up your ride with Swapalease.com. As an online marketplace, where current leases can trade their cars, Swapalease.com can get you out your current car and get you into the car of your dreams. Swapalease.com has been helping people who want to switch up their ride for more than 15 years. Headquartered in Cincinnati Ohio, Swapalease.com is an online marketplace that allows drivers to list their current lease and helps match them with buyers looking to take over the remainder of that lease. Both parties get what they’re looking for all with the convenience of online shopping. The end of daylight savings is here, marking the beginning of winter. While many of you are using this day to sleep in an extra hour, AAA’s director of Automotive Engineering, Greg Brannon distinguishes this day as a critical time for people to check vehicle systems and perform any important maintenance needed before winter arrives. Last year, AAA responded to more than 29 million calls for roadside assistance reporting that millions of those breakdowns could have been preventable with basic vehicle maintenance. ¨ Battery Life– A typical battery life should last three to five years but may be shorter if driven in high temperatures or extreme cold. In fact, a fully charged battery has less than half its potential starting power when temperatures drop to zero degrees Fahrenheit. Watch for dim headlights and interior lights since these are warning signs of a low battery. You can test out your car’s battery life by taking it into a car dealership for a free battery checkup. ¨ Battery Corrosion– Corrosion can prevent a car from starting just as much as a worn-out battery. You can check for corrosion by opening the hood and looking at the battery for crusted white residue. If corrosion is found, take a brush and clean off the battery with a solution of baking soda and water. ¨ Windshield Wipers– Check to make sure that wiper blades can completely clear the windshield glass with each swipe. Replace any blade that leaves streaks or missed spots. Windshield wiper blades should be replaced at least once per year. ¨ Tire pressure– Tire pressures drop when temperature drops during the winter. For every ten degrees dropped in temperature, the tire pressure drops approximately 1 PSI. Proper tire pressure levels differ for each car and can be checked by looking in the owner’s car manual. ¨ Tire Tread– With all the ice and snow on the roads, winter traction is important. Check your tires tread depths. Replace any tire that has less than 3/32 inches of tread. ¨ Washer Fluid– Check levels and fill windshield washer fluid with a winter cleaning solution. The solution should include an antifreeze to help keep it from freezing during the winter. ¨ Lights– Check the lights and emergency lights for any burnt out bulbs.